2 of my images ( Pinhole & Holga images) are included in an exhibition ... 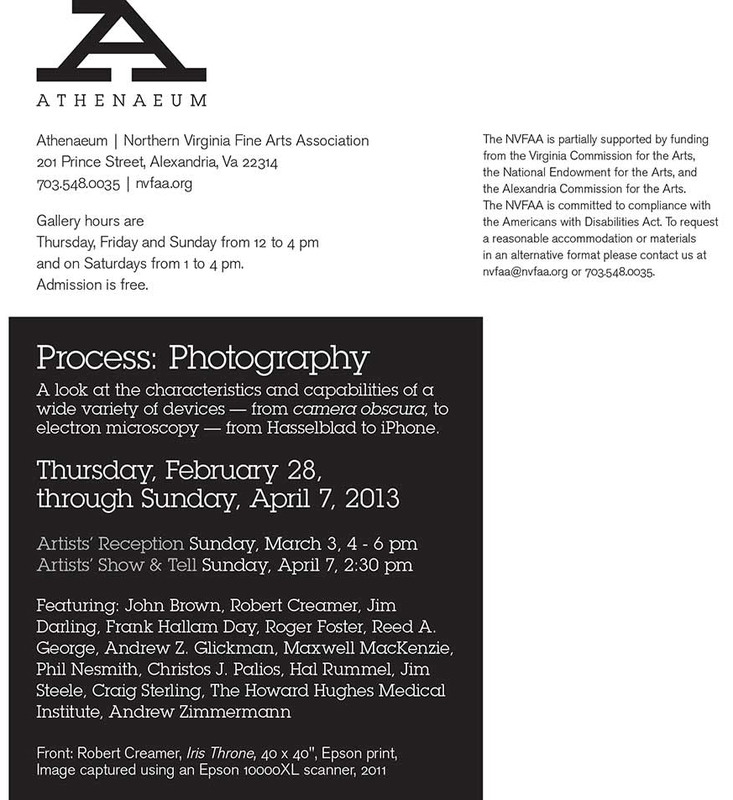 Process: Photography at The Athenaeum in Old Town Alexandria, Virginia ... right up the street from my studio at The Torpedo Factory Art Center. It's a really cool show curated by their President, Twig Murray. If you interested in photographic process, definitely check it out.